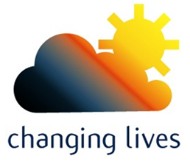 Changing Lives Project is a registered charity dedicated to enable individuals, families and communities to be the solutions to the personal and collective challenges they face. We believe the best resources any community has are its members and we work to develop people across ethnic, cultural and religious groups, of all ages and gender groups to be the best they could be to bring about the changes they need within their families and neighbourhoods. Whether it is tackling a social issue; for example, isolation or building the local resources; for example, by improving the confidence and skills of residents, Changing Lives is committed to equip participants with the capability for creative problem solving that is fit for the twenty first century. Counselling and Psychotherapy - At Changing Lives, we recognise that we are all interdependent and we rely on others to meet our everyday needs and achieve goals. Parenting Skills Support - Parenting is a life time occupation without a clear job description: a parent is a cleaner, cook, psychologist, nurse, GP, teacher, counsellor, taxi service, coach, cheer leader and so on with very little or no idea where one role ends and the other begins. It is a lifetime occupation with no retirement date: when you are a parent, you are a parent for life. Family Mental Wellbeing - What are your dreams for your family? As a parent did you, dream of a loving relationship with your partner, be the best support for your children, create loving memories filled with fun and laughter that in years to come you could look back on and enjoy? Support for Young People - You are amazing! You are so special there is no one like you on the whole planet, there has never been and there will never be another one of you. You are one in 7 billion and at Changing Lives we want to keep you that way! All our services respect the gender, cultural, religious, ethnic differences and backgrounds of the community of Luton.